The Highways & Byways Kickstarter campaign is just ten days away. This project looms large in my life and though I’m normally rational, detached, and analytical, I’m struggling to remain objective. This is really common for Kickstarter creators and I imagine this anxiety is still felt by big-time creators. It’s okay, if unpleasant, to be anxious. You just have to recognize it so it doesn’t own you. Kickstarter, in particular, can bring out a form of online stage fright. It’s important to recognize this for what it is – when you start a campaign, you’re putting yourself out there for people to respond to. I believe a lot of creators – especially new ones – haven’t built up the emotional intelligence to fully understand how hard this can be. Most of the folks who go to Kickstarter are passionate, creative people who are really close to their projects. These same people can find themselves sleepless at two in the morning, snapping at loved ones, or generally too tired to think AND not connect this back to the emotions that come with a Kickstarter campaign (fear of failure, fear of rejection, and so on). It gets better with time, though. This pre-launch has been a lot smoother than the one I had with War Co. That’s why I’d like to share six ways to cope with Kickstarter anxiety that I’ve learned over the last 2 1/2 years. For the rest of us mortals, anxiety is a deeply ingrained part of the human experience. It’s the impulse that kept our ancestors safe by telling them to run when predators approached. That same impulse is inside us even today, and it’s too dumb to tell the difference between being chased by a lion and mean comments on the internet. 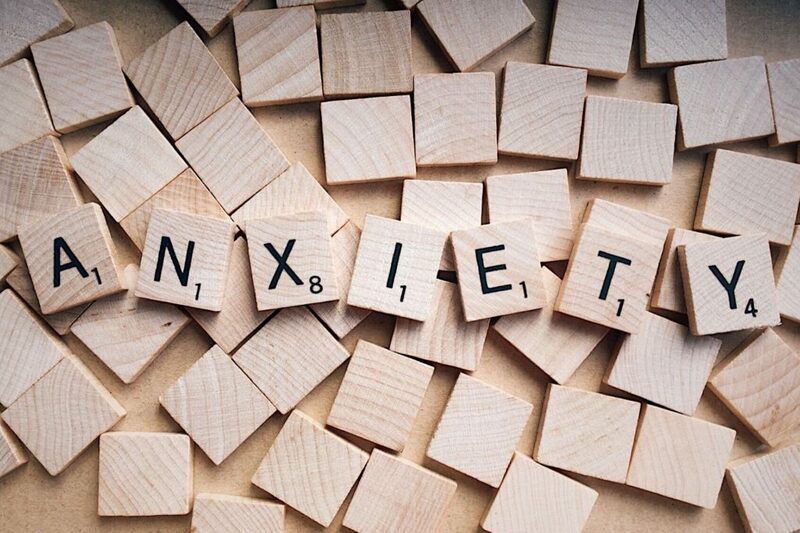 For all its flaws, embrace anxiety – it served a very useful purpose in its prime and it’s still useful even today. 2. Embrace the imperfect launch. Even experienced creators make errors. Making mistakes is part of the creative process. You will never be able to perfect your product, before or after you launch your campaign. For that reason, you need to accept that you if you are going to put something out there, something about it will be wrong. That’s no excuse to do sloppy work. You need to make a great game. You need to play-test it a lot – alone, with friends, with family, with blind play-testers, and with game designers. You need to build an audience on the foundation of meaningful relationships. You need to reach out to reviewers. You need to know exactly how you’re going to print and ship the game. Too many creators will do everything right, following all these steps above, only to get caught in the trap of “it’s not ready yet.” Don’t fall into that trap. To progress in this industry, you need to do great work but not sit on your ideas any longer than necessary. 3. Don’t let fear of failure keep you from starting. If you fail on Kickstarter, the consequences are minimal. It’s embarrassing, but it doesn’t hurt your or your backers financially. By all means, shoot for a million dollars, but don’t sweat it if you fail to fund. You can relaunch. You can come back from failure. Sometimes Kickstarter failure can bring you positive attention in the form of new fans, especially if you’re a newcomer. In fact, this scenario is fairly common: a lot of people “fail up” on Kickstarter, learning lessons from the failed campaign and making it happen on the relaunch. It’s important to have a Plan B for failure, but obsessing over contingency plans is a dangerous game. One of the best ways to alleviate anxiety is to look at the good things that could happen instead of just the bad things. For example, I’ve got a spreadsheet that shows how Highways & Byways will play out financially at every funding level from its goal to $100,000 in $1,000 increments, then up to a million in larger increments. I don’t expect to make a million, or even $100,000, but being ready to scale if it happens makes me feel better and might do the same for you. 5. Channel your anxiety into productivity. Anxiety more or less hijacks your body and makes you ready to take action – the proverbial fight or flight. That boost of adrenaline can be channeled into productivity. Perhaps you’re anxious for a good reason. Maybe you don’t have enough email addresses or Facebook fans to confidently launch. Maybe you need to write press releases or make a list of local game stores to contact. No matter what you need to do, you can benefit from well-placed nervous energy. 6. Figure out what you’re afraid of and see if it’s something you can fix. Remember how I said anxiety can be useful a few minutes ago? Sometimes we intuitively know that something is amiss, but we’re not able to put it into words yet. I’ll use a couple of Highways & Byways related examples to explain. Around late October, I had begun to get a surge of anxiety over the Highways & Byways campaign. It came out of nowhere and confounded me because everything was going so well. The game was basically done, designers at Protospiel Atlanta generally liked it, and I had clear feedback for improvement. Yet I had this gnawing anxiety even still. Eventually, after talking with a friend of mine, I realized that I’d spent all my time pushing the blog and the Discord server and almost none of my time pushing Highways & Byways itself. I took a step back, re-calibrated my plan, and started marketing the game itself more. Had I not had this incredibly uncomfortable rush of anxiety, I wouldn’t have done this, and Highways & Byways would be a nonstarter Kickstarter. On Valentine’s Day of this year, I found myself deeply uncomfortable again. After a couple of days, I realized that I wasn’t pulling in enough people – even with some active Highways & Byways outreach online, I was still focusing way too much on the blog and Discord server. That’s when I decided to run five consecutive weekly giveaway contests on Facebook, reach out to over 20 streamers, purchase Facebook ads, and compile a list of over 170 local gaming stores in the US to email. Will this work? Only time will tell, but the takeaway was clear as day: build an audience for Highways & Byways and not just the Brandon the Game Dev brand. These may be very personal and specific examples, but I feel like you can apply them to your life as well. You don’t even have to be a Kickstarter creator. Sometimes that horrible sinking feeling is actually a voice trying to save you from making mistakes. 10 days to the campaign! Last week, I gave away a copy of Forbidden Island. This week, it’s a copy of Codenames. If you want it, you’ve got a little over 24 hours after this post goes up to get it on the Highways & Byways Facebook page. Your link to your KS at the end isn’t working. Good catch – I think I’ve got it fixed now!